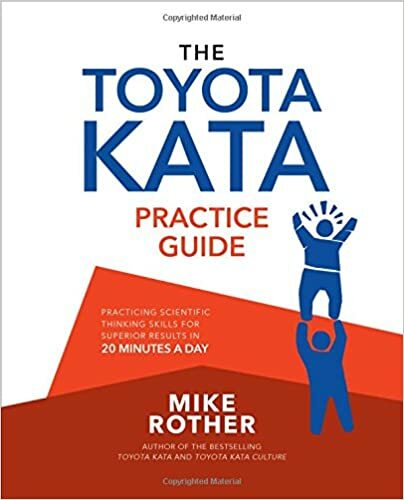 Regular readers (and clients) know I really like David Marquet’s “Leader-Leader” model and believe it has a synergistic close connection to lean thinking, leadership, and Toyota Kata. When I was offered a chance at getting a pre-publication copy of his Turn Your Ship Around! workbook, I jumped at the opportunity. I don’t like the word “lean” but we are stuck with it, so I’ll use it. I believe “Lean” is really about good leadership. While the lean process structure directly supports this type of leadership, our typical approach to “lean” has been to focus on the technical aspects and gloss over the change in behaviors. Why? It is easier to teach how to build a u-shaped layout, or implement a kanban loop than it is to actually shift people’s day-to-day behavior. A fair number of attempts to use Toyota Kata have fallen into this trap as well – teaching it as a rote technical tool rather than a structure to develop deeper thinking and improve organizational clarity and alignment. Our numbers-driven management culture tends to shy away from “people problems” and tries to lateral those things to Human Resources. Here’s the test: Who chairs the “difficult conversations” in your organization? Leaders? or HR? Captain Marquet’s experience in the Navy was similar. A submarine Captain’s authority (in the US Navy) largely descended from his technical knowledge and expertise. Take away or diminish that technical expertise, and he has to learn to rely on the team, and build a team that can be relied upon. They painted a picture of the end state: self directed teams that managed their own work in ways that were far better than anything achievable by top-down direction. There was nothing wrong with the picture – I’ve seen a few examples of that process in action and it is always amazing. The problem was getting there. Companies would have a kickoff, make a huge change, “empower their workers” and let go of control, and sit back to watch the amazing results. While the intentions were good, when direction was suddenly removed, people didn’t know what to do and they guessed wrong. They had been used to getting the answers from the boss, and suddenly those answers were gone. The rules and boundaries were not well understood, and frustrated leaders often ended up pulling away even more control than they had held before the experiment. So why does it work in the places where it does? It is surprising to me how often I hear leaders cite exceptionalism. “They can hire better people.” for example, without thinking about what that means about their own leadership, people development or hiring processes. David Marquet lays out a few key principles in his Leader-Leader model. He is clear (to me) that this isn’t a switch you can suddenly throw. His journey on the Santa Fe was one of discovery as he navigated unknown territory. There were successes and setbacks, each a point of learning. The main points of the model are progressively giving control; building competence; and establishing clarity. In the words of Toyota Kata, establish a next target condition for pushing control and decision making down a level, then identify the obstacles in the way and progressively and systematically address them. Those obstacles are nearly always something we must teach (competence); or something we must communicate (clarity). With all of that background, let’s talk about the book. The first thing to understand is this book does not stand alone. The reader must be familiar with the original book Turn the Ship Around!, its story and premise, or at least have that book available to provide context for he workbook. I have read the original book three times, and was still flipping back through it as I went through the workbook. The workbook also refers you to several scenes in the Russell Crowe movie Master and Commander: The Far Side of the World as examples (actually counter-examples) of the Leader-Leader model. The format of the original book, Turn The Ship Around is a series of stories and experiences on board the Santa Fe. Each described a challenge or problem and what the crew and leaders leaned about leadership in overcoming it. Then the general principle is described. The chapter ends with a series of bullet point questions for a leader to ask himself. The workbook, Turn Your Ship Around! parallels the structure of the main book. Each chapter in the workbook emphasizes a key leadership principle, references specific pages in the original book for the reader to review, then asks a series of questions or (in some cases) proposes an activity, exercise, or “to do” with your organization. The questions are improved versions of the end-of-chapter questions in the original book. There is also some additional material that Marquet has developed since writing the original book, for example, his “Ladder of Leadership” model that focuses you on the language in the conversation as leaders are developed. I’ll get more into that on another post. Using Turn Your Ship Around! As I mentioned above, this is a companion work for the original book. 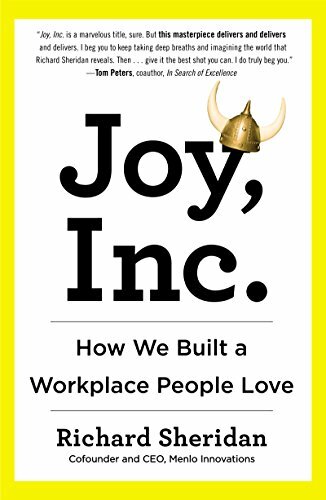 Many management teams conduct book study sessions, and this workbook would provide a great structure: Study a chapter and go though the pertinent section in the workbook individually, then come together and share your impressions and answers to the questions. My review copy also came with a deck of cards intended for structuring a role playing session. A scenario is drawn, and individuals representing the leader and the subordinate draw cards which lay out the language they should use. Sometimes the leader might be trying to get a reluctant team member to step up and take more responsibility. Another scenario might have the team member showing more initiative than the leader is comfortable with. The idea is for the participants to experience how these various dynamics feel. I haven’t tried it with a group (yet), but it seems like it would be worth doing… with the caveat below. Trying to Change the cultural dynamic of your organization is going to challenge deeply hidden assumptions about people that are firmly entrenched in the mechanics and artifacts the organization uses to get things done. These are things like reports, the way meetings are run, how assignments are given and tracked. If you choose to go down this road, all of those things will be challenged, and you will need to be open to that. Capt Marquet talks specifically about blowing up the reports, tracking files, chains of signatures during his journey on the Santa Fe. No matter what you say your values and beliefs are, the mechanisms of control define what your culture really believes about who can be trusted with what. This won’t work if you pay lip service to it. Though I’ve been talking this up to clients for the better part of a year (and probably “sold” a hundred or so copies of the book in the process), I haven’t gone into a lot of depth here. I’ll likely be digging into the concepts more in the future. This post is about the new book, so I want to try to constrain myself somewhat to that topic today.